Heat oil in a skillet over medium-high heat. Stir-fry the pork for several minutes until golden. Add the garlic and onion and cook until limp and aromatic. Add the shrimp paste and cook for another minute. Pour in the coconut milk and chili and lower heat to low. 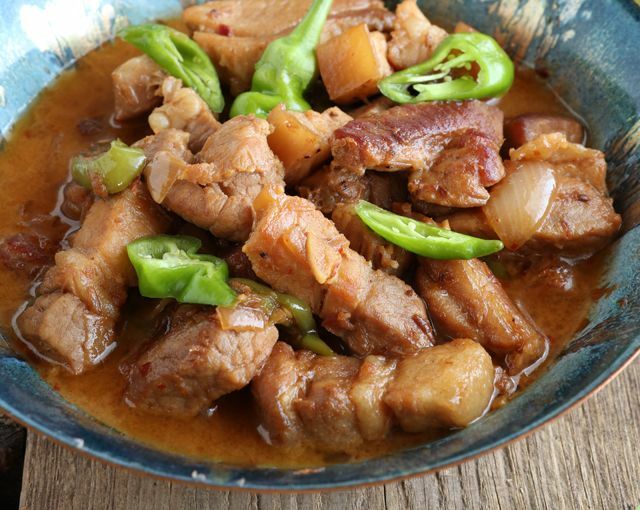 Let it cook for several minutes until pork is tender and sauce begins to thicken and render fat.